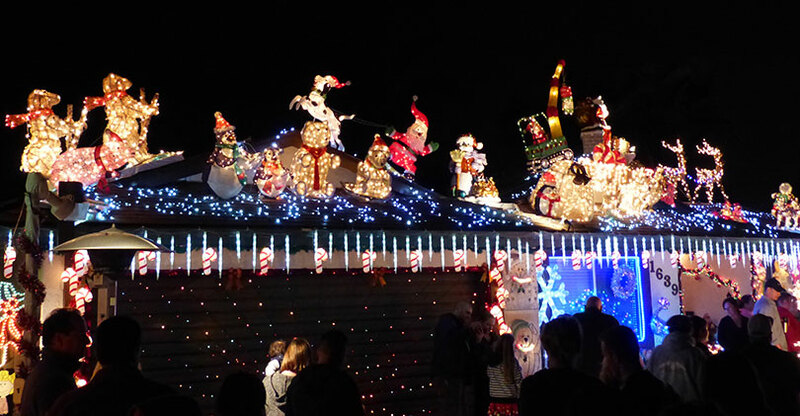 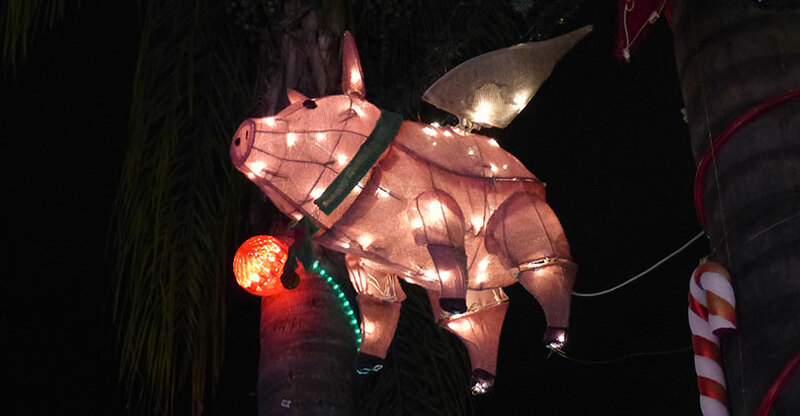 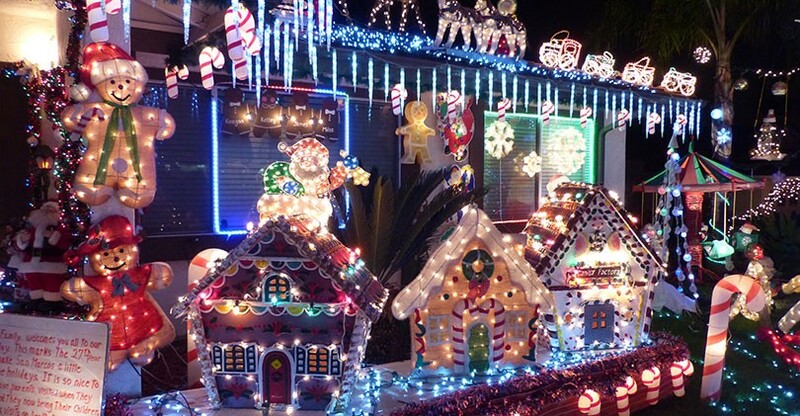 We’ve compiled a list of Christmas & Holiday Light Displays, Santa and Nativity Scenes throughout North County San Diego. 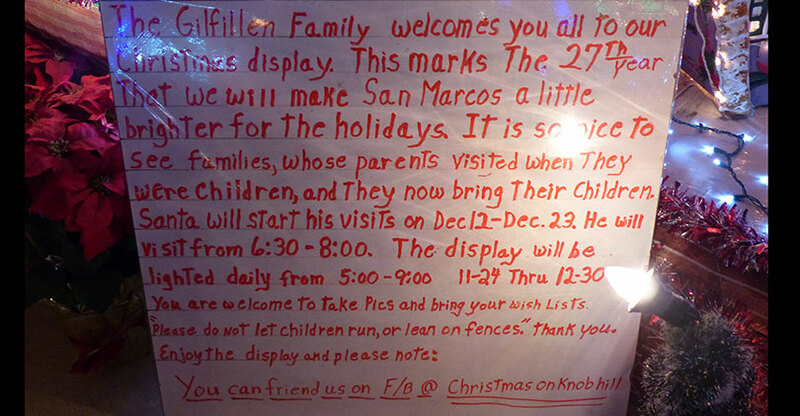 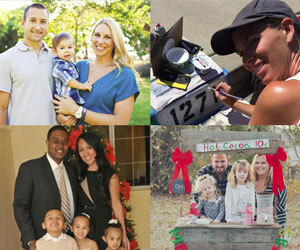 If you know of any that didn’t make our list, email us at holiday@santafehillssanmarcos.com. 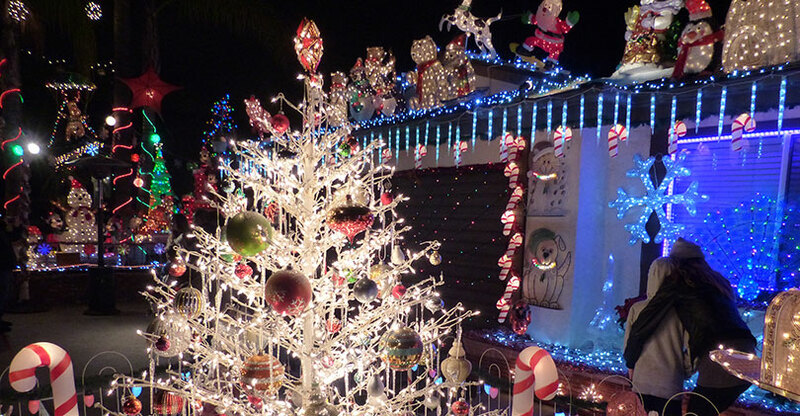 For a comprehensive list of North County San Diego Christmas & Holiday Events, view the North County San Diego Christmas Events page. With over 80,000 Christmas lights, hundreds of lighted outdoor figures and thousands of feet of electrical wiring, Christmas on Knob Hill is a fabulous winter wonderland. 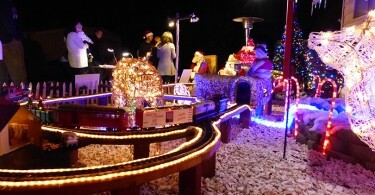 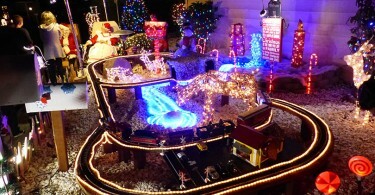 Mr. & Mrs. Claus pass out candy canes in front of a festively decorated house with an electric train. 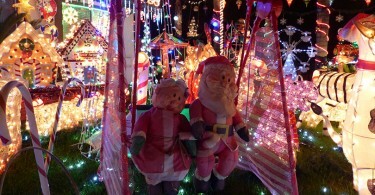 Walk to see animated window display, swimming penguins, dancing Santa, three snow machines and Surfing Santa. 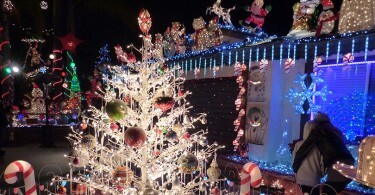 Food drive donations accepted. 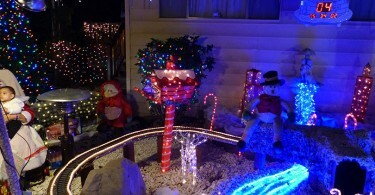 Stop by for a candy cane! 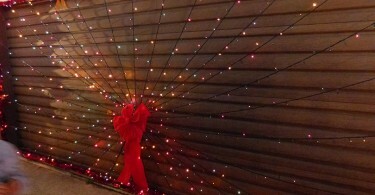 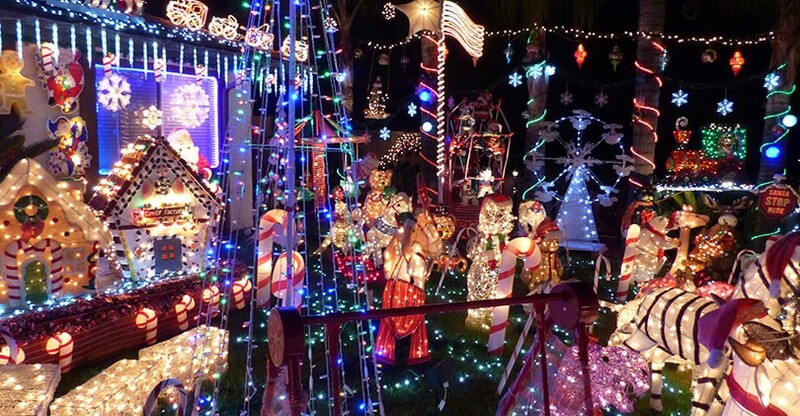 Holiday lights synchronized to 89.9 FM. Santa arrives by hot air balloon, nativity scene, animated elves and Santa village light display. 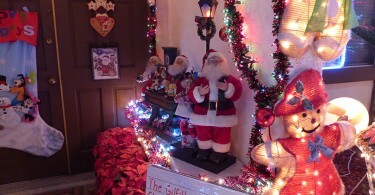 Walk up to see a Christmas scene in the garage. 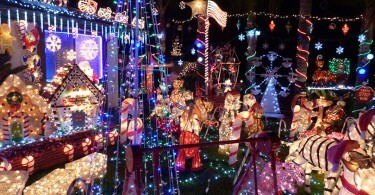 Lights synchronized to over 10 songs on 87.9FM. Free Living Nativity event for the whole family. Where: 1120 Highland Dr, Vista (Lifeway Church, off Melrose, between Olive & Los Angeles). 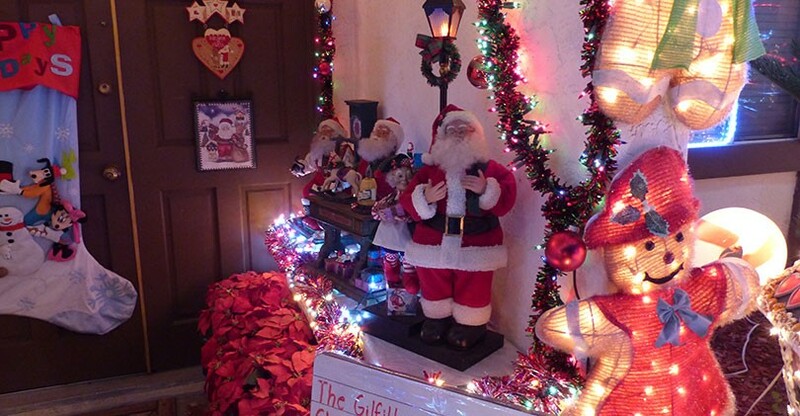 A house decorated with lights from top to bottom that would make Clark proud. 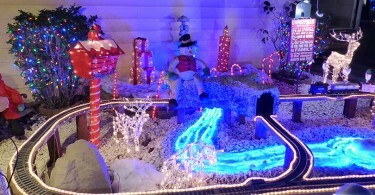 All off Twin Peaks Rd & Silverset St. 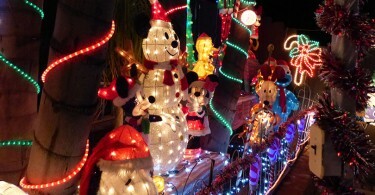 Entire cul-de-sac is lit up. 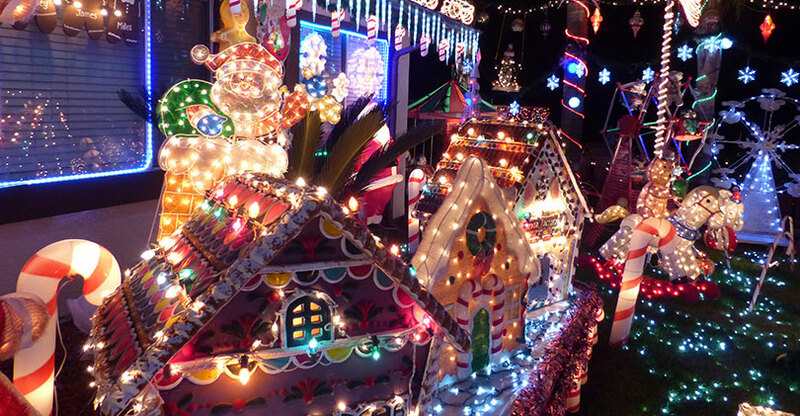 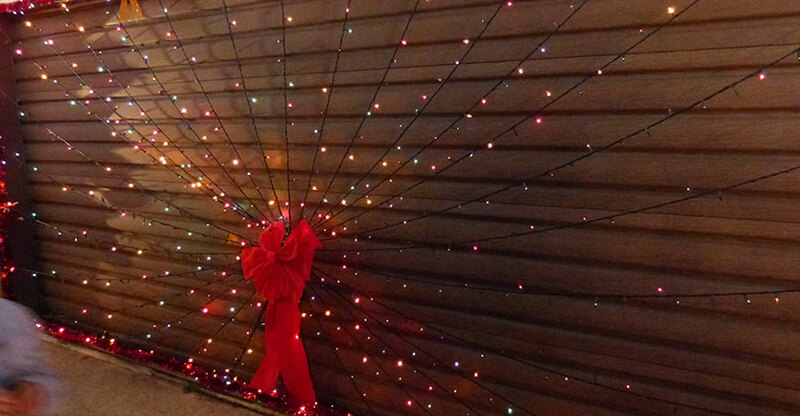 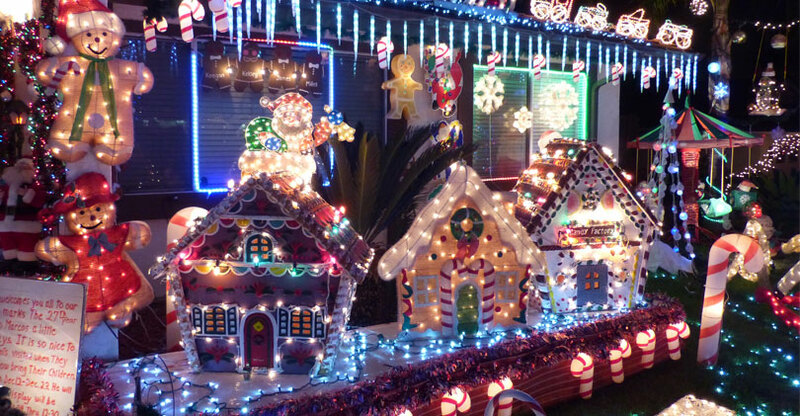 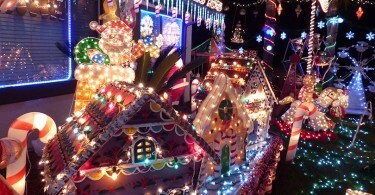 A must-see multi-home holiday light display. 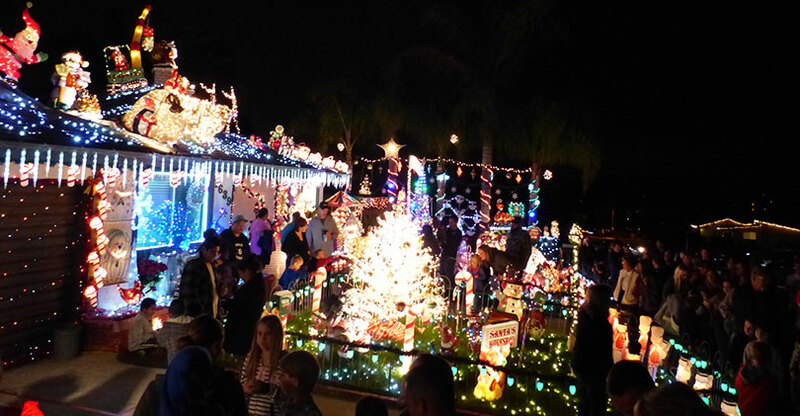 Where: 12659 Butterwood Ct Poway, CA 92064 & Rockrose Ct, Hickory Ct., Hickory St.
30,000+ lights animated to music broadcast to 106.9 FM using 424 computer channels.